Black Bears are a regular presence in the area. 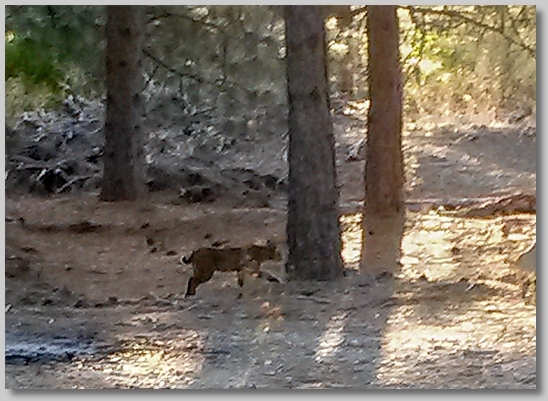 This one was seen on the way to the Black Butte trailhead. This is a list of mammals and amphibians we have seen and identified (directly or through tracks/feces) on or in the near vicinity of our land. Rare. Heard vocalizing a couple times and there are occasional reports from around the area. But no direct signs (tracks, etc.) or sightings on our land. Tracks and feces are common but they are rarely seen. The one above was just behind the "Lucky Pine" in September, 2016. Occasionally seen on and around our land. 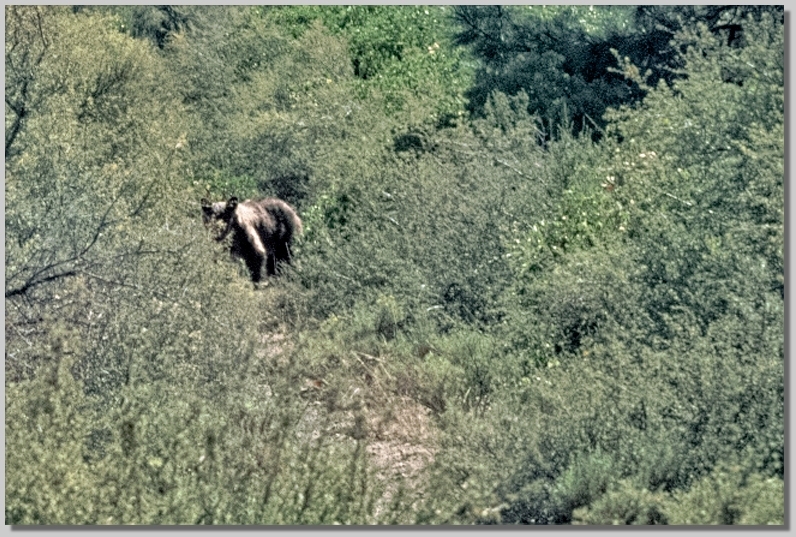 Tracks and feces seen regularly, especially near the Springs and adjacent meadows. Occasional sightings on and near our land. They've been seen a couple of times on or near our land. The one above was on the north end of our land in August, 2016. Only one confirmed sighting, on a cold winter night in early 2008 one got right into the X746 GN caboose. 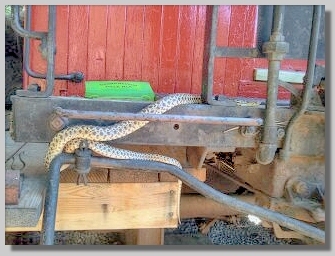 Rare, one was seen in May 2008. 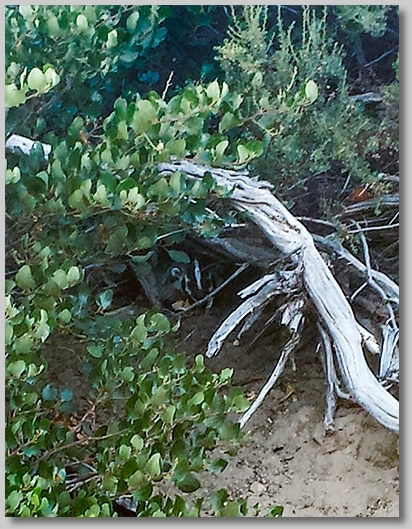 Common, frequently see nests and feces. Several species inhabit our area. Bats frequently seen in the open area of the compound and near the pond.